1. Be able to list the basic concepts of the NDT (Bobath) Approach to the treatment of adult hemiplegia. 2. Be able to list the normal movement components of sitting and standing. 3. 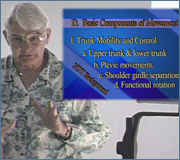 Identify ways to analyze and problem-solve patient movements. 4. 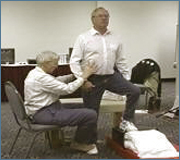 Observe ways to facilitate dynamic sitting & standing. 6. 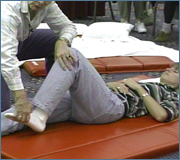 Identify the movement components of positioning and mobility in bed and observe facilitation of positioning and mobility in bed.